BAGHDAD/MOSUL, Iraq–Iraqis voted on Saturday for the first time since the defeat of ISIS, with Prime Minister Haider al-Abadi, a rare ally of both the United States and Iran, trying to fend off powerful Shi’ite groups that would pull the country closer to Tehran. Iraqis expressed pride at the prospect of voting for the fourth time since the fall of socialist dictator Saddam Hussein, but also said they had scant hope that the election would stabilise a country beset by conflicts, economic hardship, and corruption. Turnout was 44.52 percent with 92 percent of the votes counted, the Independent High Electoral Commission said, significantly lower than in previous elections. Results are due to be officially announced on Monday. 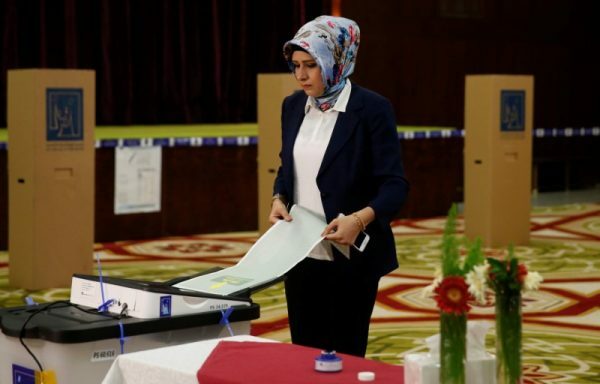 There were tensions in the oil-rich province of Kirkuk where the governor demanded a manual recount and declared a curfew to prevent any ethnic or sectarian clashes between its Kurdish, Arab and Turkmen communities. Two Kurdish parties clashed with assault rifles in the northern Iraqi city of Sulaimaniya amid accusations of ballot rigging, residents and officials said. 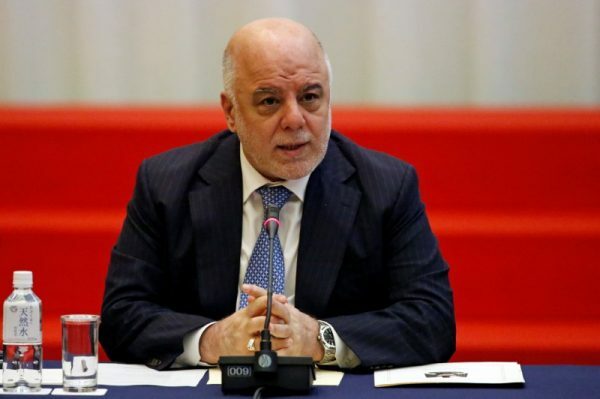 Voters will pass their verdict on Abadi, who has achieved the delicate task of maintaining relationships with both of Iraq’s main allies: Iran and the United States. Whoever wins the election will have to contend with the fallout from U.S. President Donald Trump’s decision to pull out of a nuclear deal with Iran, a move Iraqis fear could turn their country into a theatre of conflict between Washington and Shi’ite Iran. Abadi, who came to power four years ago after ISIS seized a third of the country, received U.S. military support for Iraq’s army to defeat ISIS even as he gave free rein to Iran to back Shi’ite militias fighting on the same side. But now that the military campaign is over, he faces political threats from two main challengers: his predecessor Nuri al-Maliki, and the leader of the main Shi’ite paramilitary group, Hadi al-Amiri, both closer than he is to Iran, which has wide sway in Iraq as the primary Shi’ite power in the region. The United States, which became even more involved in the region after its invasion of Iraq in 2003 to topple Saddam’s secular Arab Socialist Ba’ath regime, has also come to have significant influence in the region after President Obama withdrew troops in 2011, only to sent them back to help fight the rise of ISIS in 2014. Abadi is seen as the narrow frontrunner, but victory is far from certain. A British-educated engineer with no powerful political machine of his own when he took office, he solidified his standing with the victory over ISIS. Although he has failed so far to improve the limping economy, his supporters say he is best placed to keep more overtly sectarian political leaders in check. Even if Abadi’s Victory Alliance wins the most seats, he still must negotiate a coalition government, which must be formed within 90 days of the election. One of his principal rivals, Amiri, 63, spent more than two decades fighting Saddam from exile in Iran and leads the biggest group of volunteer forces that fought ISIS. Victory for Amiri would be a clear win for Iran. Opponents accuse Amiri’s Badr Organisation of abusing Sunni Muslims during sectarian conflicts, and of taking orders from Iran. They say he achieved little in the powerful post of transport minister from 2010-2014. His supporters say he was pivotal in defeating ISIS and would offer stronger leadership than Abadi. Other Iraqis are disillusioned with war heroes and politicians who have failed to restore state institutions and provide badly needed health and education services. “We need neither tanks nor jets. 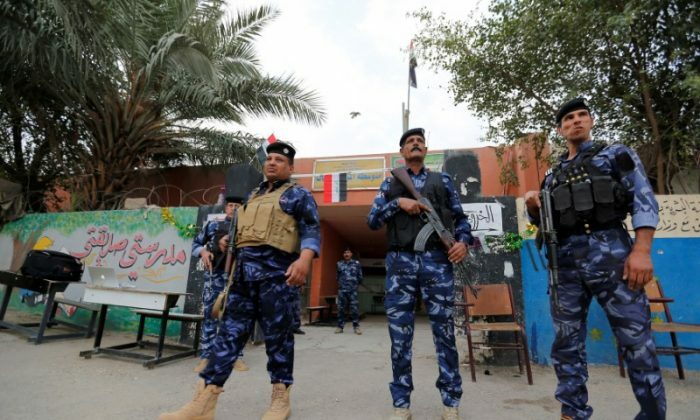 We need only the ballot paper through which we can rectify the political process which was aborted by those who governed Iraq,” said labourer Khalid al-Shami, 50, at a polling station in Baghdad. Many of the poor have turned to Moqtada al-Sadr, a firebrand Shi’ite cleric who led a violent uprising against the U.S. occupation from 2003-2011 but has since remade himself as an opponent of the traditional religious parties, striking an unlikely alliance with the Communists and other secular groups. “We had hoped that lives will change but Abadi and Maliki didn’t do anything for us. We live in poverty, have no jobs and state services,” said 36-year old Hussein Yousef, who praised Sadr as a protector of the downtrodden. 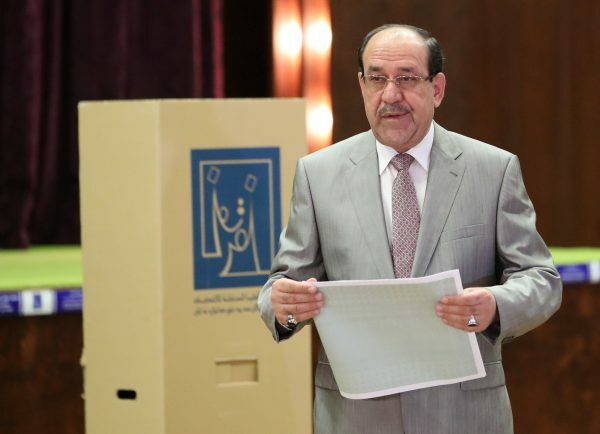 Maliki, who stepped aside in 2014 after ISIS swept through a third of the country, is seeking a comeback, casting himself as a Shi’ite champion. Opponents say his sectarian policies during eight years in power created the atmosphere that enabled ISIS to gain sympathy among Sunnis. Since Saddam’s fall, the post of prime minister has been reserved for a Shi’ite, the speaker of parliament has been a Sunni, and the ceremonial presidency has gone to a Kurd – all three chosen by parliament. More than 7,000 candidates in 18 provinces are running this year for 329 parliamentary seats. More than 24 million of Iraq’s 37 million people are eligible to vote. In the ruins of West Mosul, where ISIS proclaimed its caliphate in 2014 and fighters held out for most of last year in the face of the biggest battle of the post-Saddam era, turnout appeared higher than in other parts of the city even though transport was shut for security reasons and voters had difficulty reaching the polls. “We need new faces not this group of corrupt politicians currently in Baghdad,” said Ahmed Noor, a shop owner.